Much repair and renovation work is carried out during the summer as the warm weather allows work to progress quickly. It is the best time to undertake damp-proofing work as the ground and any structure built upon it is usually at its driest level. Rising damp is caused when ground water, at the footings level, is absorbed into walls through capillary action. The water level does not usually rise beyond a metre and the clear line of demarcation at this level is a strong indicator that rising damp is present. Salts that are left behind as water evaporates further complicate the process, drawing more and more moisture from the air. 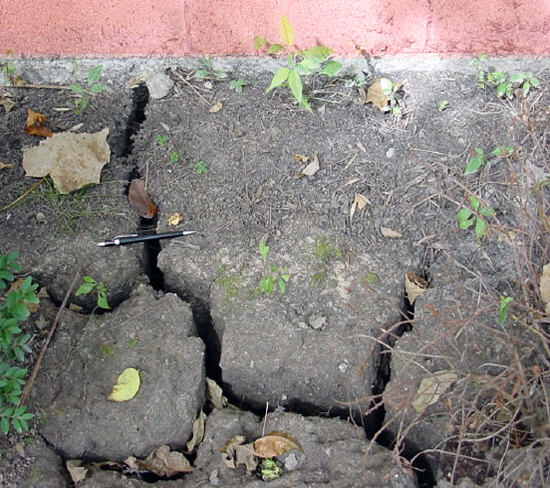 During the hot months of summer, groundwater at the base of the walls exists at negligible levels, if at all. With no source of moisture walls may quickly dry and stay that way until rain once more causes the level of the water table to rise and replenish moisture levels around the foundations. By definition, rising damp is at its worst during wet conditions and so it is a matter of simple logic to carry out the work while the clement weather persists. An added benefit is that painting or plastering can be carried out much sooner after the damp treatment is implemented thanks to the shorter drying time experienced during warm weather. 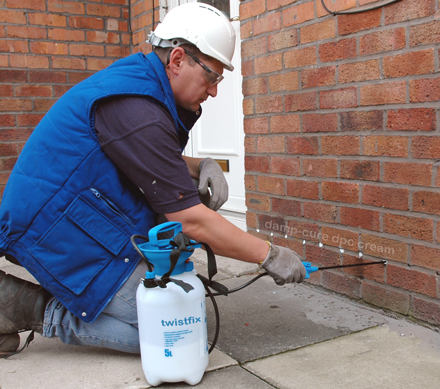 Twistfix supply a comprehensive range of damp-proofing tools and materials to our diverse customer base. To effectively treat rising damp, we recommend the Twistfix Rising Damp Kit which contains everything required to treat 15m of 9” wall or 30m of single-leaf wall. 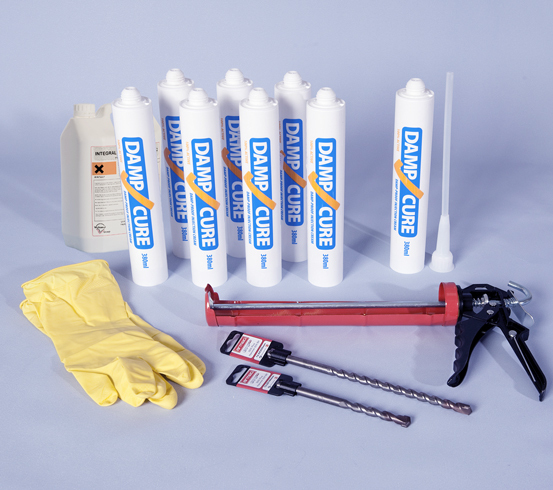 At the heart of the kit is 3 litres, of our specialist damp proof cream, fabricated with the use of an emulsi­fica­tion process and separated into 8 handy cartridges. The cream is designed to migrate quickly into the pores of damp walls, rapidly providing an effective chemical damp proof course. 5 litres of plastering additive are also included within the kit which, when mixed with render, will act as a salt-inhibitor and help prevent the problem from recurring. For more information on rising damp and how to prevent or treat it, please contact our expert team on 0845 123 6006 or by email sales@twistfix.co.uk.